Fall is a major season for the creative. Well, for me, that’s every season…! But in Fall, we have a deeper sense of gathering, of celebration and nesting a bit more. So, why not try a little DIY? 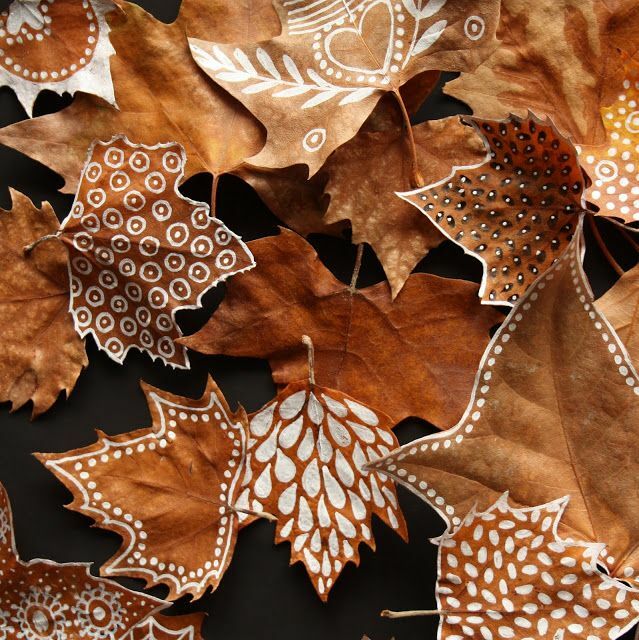 The leaves above are totally gorgeous, and they only require a white paint pen and your doodling brain. 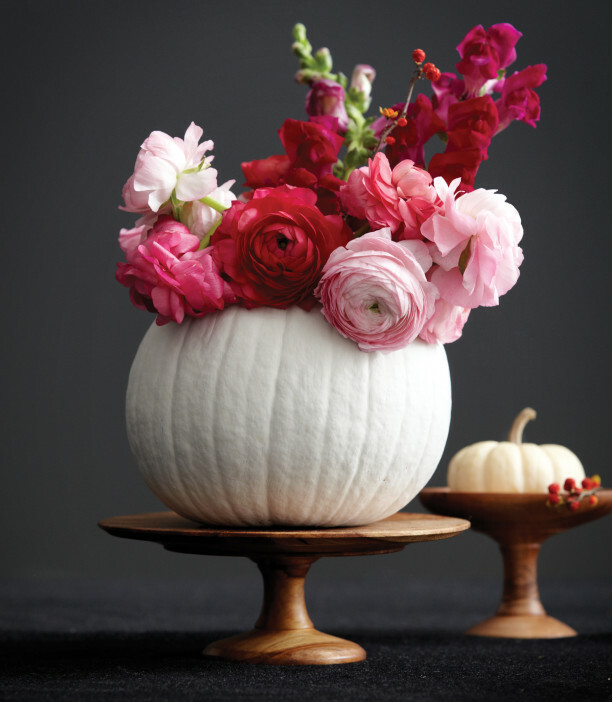 Are you ready for a few luscious, sensory rich fall projects that will be worth your while?! Sugar scrubs are a year-round favorite of mine, and sugar cube body scrubs are a more compact version of a scrub with less mess and more charm. 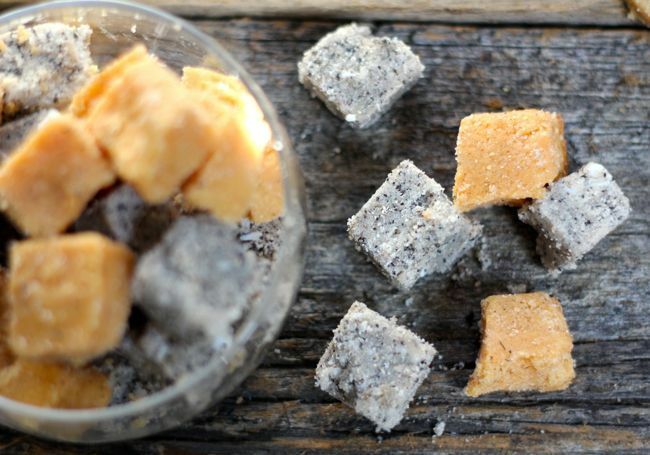 Henry Happened created gorgeous Fall scrub recipes that are enchanting. 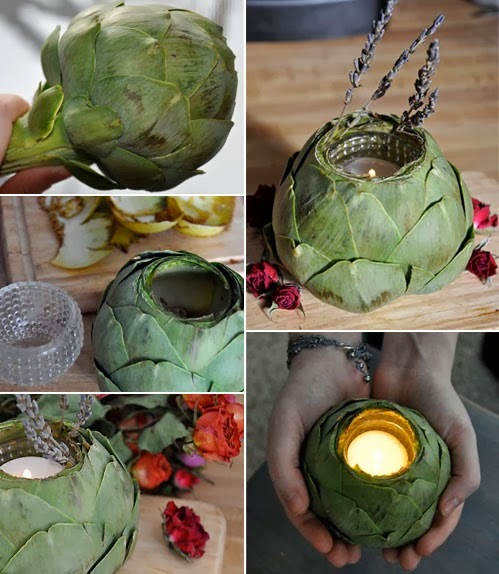 How architectural and special are these artichoke candle holders?! I mean, really, really, really amazing!!! 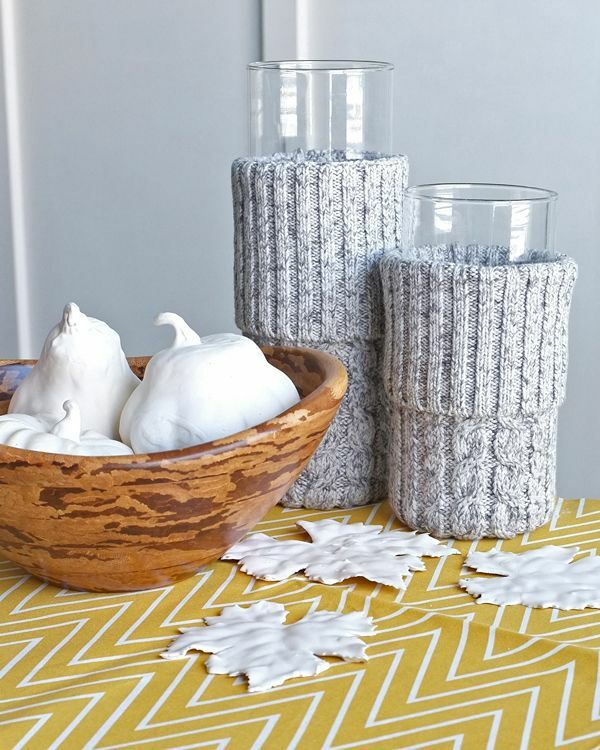 Sweater candles! Plaster gourds! Yes! THESE are really chic, extremely fun and… you can manage to use them year-round, too! DEFINITELY trying out that sugar scrub recipe! Previous post: Break Out Of Your Comfort Zone & Do Big Things!